Nuvair supplies fire stations, rescue organizations and safety facilities with high-pressure breathing air compressors, gas analyzers and SCBA/SCUBA fill stations. 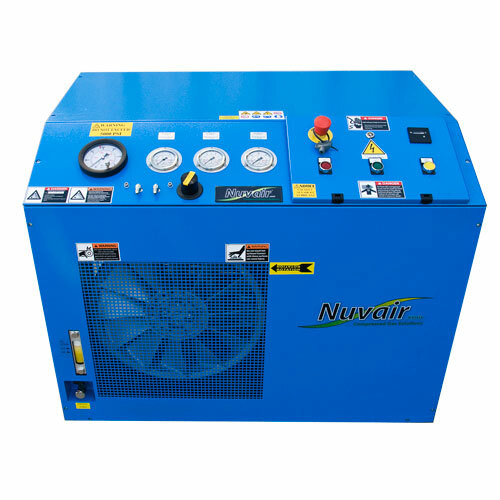 Nuvair portable and stationary breathing air compressors deliver 3-26 CFM (84-736 L/min). Our one- to four-cylinder SCBA/SCUBA fill containment stations come with manual or pneumatic door controls and digital gas analyzers. If our stock equipment do not meet your needs, a custom-built solution will meet your agency's specifications. 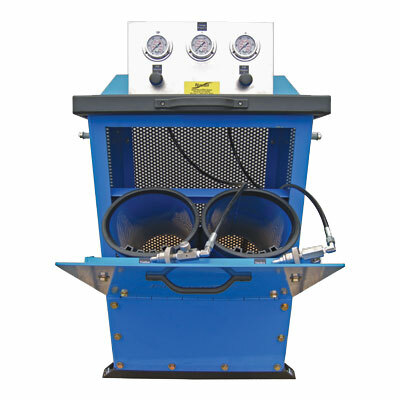 Pictured below are two of Nuvair's most popular products in the fire service: a customized version of the NCC-2 Fill Containment Station (left) and the MCH13/16 Compact high-pressure air compressor (right).